VW CERTIFIED PRE-OWNED WARRANTY / CPO ~, Cornsilk Beige w/Vienna Leather Seating Surfaces, Electronic Stability Control, Exterior Parking Camera Rear, Heated Front Bucket Seats, Steering wheel mounted audio controls, Wheels: 19" Salvador Alloy. KBB Fair Market Range High: $19,026 KBB Fair Market Range Low: $15,237 2017 Volkswagen Passat 1.8T R-Line Pure White CARFAX One-Owner. Clean CARFAX. 1.8L TSI 6-Speed Automatic with Tiptronic FWD 23/34 City/Highway MPG Awards: * 2017 IIHS Top Safety Pick * 2017 KBB.com 10 Most Comfortable Cars Under $30,000 Plus, with #1 Cochran's Market Based Pricing you can feel confident that you are receiving the Best Price and Value available to You! #1 Cochran has been providing the Tri-State area with excellent sales and service experiences for 50 Years. STOP! Buy Today! Let YOUR #1 Cochran experience begin! COCHRAN CERTIFIED WARRANTY 6 MONTH / 6000 MILES, 4WD, 17" x 6.5" Aluminum Wheels, 2 Articulating Liftgate Speakers, 9 Boston Acoustic Speakers w/Subwoofer, Heated front seats, Power Express Open/Close Sunroof, Premium Sound Group, Remote keyless entry, SIRIUS Satellite Radio, Sun/Sound Group. KBB Fair Market Range High: $11,691 KBB Fair Market Range Low: $9,854 2012 Jeep Patriot Latitude Copperhead Pearlcoat 2.4L I4 DOHC 16V Dual VVT CVT 4WD Odometer is 22555 miles below market average! Awards: * 2012 IIHS Top Safety Pick (with optional side torso airbags) Plus, with #1 Cochran's Market Based Pricing you can feel confident that you are receiving the Best Price and Value available to You! #1 Cochran has been providing the Tri-State area with excellent sales and service experiences for 50 Years. STOP! Buy Today! Let YOUR #1 Cochran experience begin! 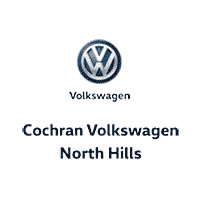 COCHRAN CERTIFIED WARRANTY 6 MONTH / 6000 MILES, AWD, Air Conditioning, Electronic Stability Control. KBB Fair Market Range High: $14,370 KBB Fair Market Range Low: $10,945 2014 Subaru Legacy 2.5i Premium Carbide Gray Metallic 2.5L 4-Cylinder DOHC 16V CVT Lineartronic AWD 24/32 City/Highway MPG Awards: * 2014 KBB.com 10 Best All-Wheel-Drive Cars & SUVs Under $25,000 Plus, with #1 Cochran's Market Based Pricing you can feel confident that you are receiving the Best Price and Value available to You! #1 Cochran has been providing the Tri-State area with excellent sales and service experiences for 50 Years. STOP! Buy Today! Let YOUR #1 Cochran experience begin! POWER WINDOWS & LOCKS~, WARRANTY~, CARFAX CERTIFIED ~, HANDS FREE ~, LOCAL TRADE ~, MUST SEE ~, NON-SMOKER ~, RARE ~, CVT with Xtronic. 2015 Nissan Altima 2.5 Gun Metallic 2.5L I4 DOHC 16V CVT with Xtronic FWD 27/38 City/Highway MPG Awards: * 2015 KBB.com 10 Best Sedans Under $25,000 * 2015 KBB.com 10 Best UberX Candidates Plus, with #1 Cochran's Market Based Pricing you can feel confident that you are receiving the Best Price and Value available to You! #1 Cochran has been providing the Tri-State area with excellent sales and service experiences for 50 Years. STOP! Buy Today! Let YOUR #1 Cochran experience begin! HEATED SEATS~, BACKUP CAMERA~, USB / AUX PORT~, ALL WHEEL DRIVE / AWD ~, BLUETOOTH ~, CARFAX CERTIFIED ~, HANDS FREE ~, HEATED SEATS ~, LOCAL TRADE ~, MUST SEE ~, NON-SMOKER ~, ONE OWNER ~, RARE ~, REAR BACKUP CAMERA ~. 2015 Subaru Legacy 2.5i Premium carbide gray metallic 2.5L 4-Cylinder DOHC 16V CVT Lineartronic AWD 26/36 City/Highway MPG Awards: * 2015 KBB.com 10 Best All-Wheel-Drive Vehicles Under $25,000 * 2015 KBB.com 10 Best Sedans Under $25,000 * 2015 KBB.com Best Resale Value Awards * 2015 KBB.com Brand Image Awards * 2015 KBB.com 5-Year Cost to Own Awards Plus, with #1 Cochran's Market Based Pricing you can feel confident that you are receiving the Best Price and Value available to You! #1 Cochran has been providing the Tri-State area with excellent sales and service experiences for 50 Years. STOP! Buy Today! Let YOUR #1 Cochran experience begin! COCHRAN CERTIFIED WARRANTY 6 MONTH / 6000 MILES, AWD, Electronic Stability Control, Remote keyless entry. KBB Fair Market Range High: $14,225 KBB Fair Market Range Low: $12,252 2015 Subaru Impreza 2.0i Dark Gray Metallic CARFAX One-Owner. 2.0L 4-Cylinder SMPI DOHC 16V CVT Lineartronic AWD 28/37 City/Highway MPG Awards: * 2015 IIHS Top Safety Pick+ * ALG Residual Value Awards * 2015 KBB.com 5-Year Cost to Own Awards * 2015 KBB.com Brand Image Awards * 2015 KBB.com Best Resale Value Awards Plus, with #1 Cochran's Market Based Pricing you can feel confident that you are receiving the Best Price and Value available to You! #1 Cochran has been providing the Tri-State area with excellent sales and service experiences for 50 Years. STOP! Buy Today! Let YOUR #1 Cochran experience begin! COCHRAN CERTIFIED WARRANTY 6 MONTH / 6000 MILES, 18" Polished Aluminum Wheels, Exterior Parking Camera Rear, Leather-Trimmed Heated Sport Bucket Seats, Rear Parking Sensors, Spoiler, SYNC w/MyFord Touch. KBB Fair Market Range High: $15,688 KBB Fair Market Range Low: $13,067 2014 Ford Fusion Titanium Black EcoBoost 2.0L I4 GTDi DOHC Turbocharged VCT 6-Speed Automatic FWD Odometer is 17575 miles below market average! 22/33 City/Highway MPG Awards: * 2014 IIHS Top Safety Pick+ * 2014 KBB.com 10 Best Hybrids Under $30,000 * 2014 KBB.com Brand Image Awards Plus, with #1 Cochran's Market Based Pricing you can feel confident that you are receiving the Best Price and Value available to You! #1 Cochran has been providing the Tri-State area with excellent sales and service experiences for 50 Years. STOP! Buy Today! Let YOUR #1 Cochran experience begin! HEATED LEATHER~, MOONROOF~, NAVIGATION~, BOSE AUDIO~, ALL WHEEL DRIVE / AWD ~, BLUETOOTH ~, CARFAX CERTIFIED ~, HANDS FREE ~, HEATED SEATS ~, LEATHER SEATS ~, LOCAL TRADE ~, LOW MILES ~, MUST SEE ~, NAVIGATION ~, NON-SMOKER ~, ONE OWNER ~, PREMIUM AUDIO ~, PREMIUM WHEELS ~, RARE ~, REAR BACKUP CAMERA ~, SUNROOF / MOONROOF ~, XM RADIO, AWD, graphite Leather, Bluetooth® Advanced Audio Distribution Profile, INFINITI Hard Drive Navigation System, Memory System, Navigation Package, Power Sliding Tinted Glass Moonroof, Power-Tilt & Telescopic Steering Wheel, Premium Package, Rear Sonar System, XM NavTraffic. 2013 INFINITI G37 X Black Obsidian 3.7L V6 DOHC 24V 7-Speed Automatic with Manual Shift AWD Odometer is 15643 miles below market average! Plus, with #1 Cochran's Market Based Pricing you can feel confident that you are receiving the Best Price and Value available to You! #1 Cochran has been providing the Tri-State area with excellent sales and service experiences for 50 Years. STOP! Buy Today! Let YOUR #1 Cochran experience begin! 4WD, 17" x 6.5" Aluminum Wheels, 2 Articulating Liftgate Speakers, 9 Boston Acoustic Speakers w/Subwoofer, Heated front seats, Power Express Open/Close Sunroof, Quick Order Package 2GS, Remote Start System, Sun/Sound Group. 2016 Jeep Compass Latitude True Blue Pearlcoat 2.4L I4 DOHC 16V Dual VVT 6-Speed Automatic 4WD 20/26 City/Highway MPG Plus, with #1 Cochran's Market Based Pricing you can feel confident that you are receiving the Best Price and Value available to You! #1 Cochran has been providing the Tri-State area with excellent sales and service experiences for 50 Years. STOP! Buy Today! Let YOUR #1 Cochran experience begin! COCHRAN CERTIFIED WARRANTY 6 MONTH / 6000 MILES, 16" x 6.5" Alloy Wheels, Blind spot sensor: Blind Spot Detection (BSD) with Lane Change Assist (LCA) warning, Electronic Stability Control, Exterior Parking Camera Rear, Heated Front Bucket Seats, Radio: AM/FM/HD/SiriusXM/MP3 Display Audio, Split folding rear seat. KBB Fair Market Range High: $18,324 KBB Fair Market Range Low: $16,163 2018 Hyundai Elantra Value Edition Symphony Silver CARFAX One-Owner. Clean CARFAX. 2.0L 4-Cylinder DOHC 16V 6-Speed Automatic with Shiftronic FWD 28/37 City/Highway MPG Plus, with #1 Cochran's Market Based Pricing you can feel confident that you are receiving the Best Price and Value available to You! #1 Cochran has been providing the Tri-State area with excellent sales and service experiences for 50 Years. STOP! Buy Today! Let YOUR #1 Cochran experience begin! Recent Arrival! 3RD ROW SEATS ~, POWER SLIDING DOOR (S) ~, Brake assist, Electronic Stability Control, Power door mirrors, Power driver seat, Steering wheel mounted audio controls. 2012 Honda Odyssey EX Dark Cherry Pearl II 3.5L V6 SOHC i-VTEC 24V 5-Speed Automatic FWD Odometer is 52131 miles below market average! 18/27 City/Highway MPG Awards: * 2012 IIHS Top Safety Pick * ALG Best Residual Value * 2012 KBB.com 10 Best Family Cars * 2012 KBB.com 10 Most Comfortable Cars Under $30,000 * 2012 KBB.com 10 Best Used Family Cars Under $15,000 * 2012 KBB.com Best Resale Value Awards * 2012 KBB.com Brand Image Awards 2016 Kelley Blue Book Brand Image Awards are based on the Brand Watch(tm) study from Kelley Blue Book Market Intelligence. Award calculated among non-luxury shoppers. For more information, visit www.kbb.com. Kelley Blue Book is a registered trademark of Kelley Blue Book Co., Inc. Plus, with #1 Cochran's Market Based Pricing you can feel confident that you are receiving the Best Price and Value available to You! #1 Cochran has been providing the Tri-State area with excellent sales and service experiences for 50 Years. STOP! Buy Today! Let YOUR #1 Cochran experience begin! HEATED LEATHER~, MOONROOF~, BLIND SPOT WARNING~, Recent Arrival! ALL WHEEL DRIVE / AWD ~, BLUETOOTH ~, HEATED SEATS ~, LEATHER SEATS ~, LOCAL TRADE ~, LOW MILES ~, NON-SMOKER ~. 2013 Honda Crosstour EX-L White 3.5L V6 SOHC i-VTEC 24V 6-Speed Automatic 4WD 19/28 City/Highway MPG Awards: * 2013 KBB.com Brand Image Awards 2016 Kelley Blue Book Brand Image Awards are based on the Brand Watch(tm) study from Kelley Blue Book Market Intelligence. Award calculated among non-luxury shoppers. For more information, visit www.kbb.com. Kelley Blue Book is a registered trademark of Kelley Blue Book Co., Inc. Plus, with #1 Cochran's Market Based Pricing you can feel confident that you are receiving the Best Price and Value available to You! #1 Cochran has been providing the Tri-State area with excellent sales and service experiences for 50 Years. STOP! Buy Today! Let YOUR #1 Cochran experience begin!